When we come to understand and realize that God is not a myth nor a fairy tale, it is easy to understand that He and He alone is the cause of the heavens and the earth. Many people have a limited view of the world. They are concerned only about their own city, or nation. They do not recognize that the area where they live is only a small part of a great planet called "earth." They do not know about the special plan of God which includes the entire world, people of all races, cultures, and languages. 1. Because people did not have access to the true facts about creation or. . . The God of whom this verse speaks is the one true God. The Bible is the written record of the acts and words of God. When we speak of developing a "Biblical worldview", it means we base our understanding of the world by what is revealed by God in His written Word, the Bible. Apostle Paul, when speaking in Athens, made it abundantly clear that of all the many gods they idolized, the one that they had named as the 'unknown god' was indeed the one true God. Some people choose not to believe the facts of creation presented in the Bible because it means they must acknowledge there is a God. If they accept the fact there is a God, then they must acknowledge His sovereign rule over them. They must also believe His Word and do something about their ungodly lifestyle. 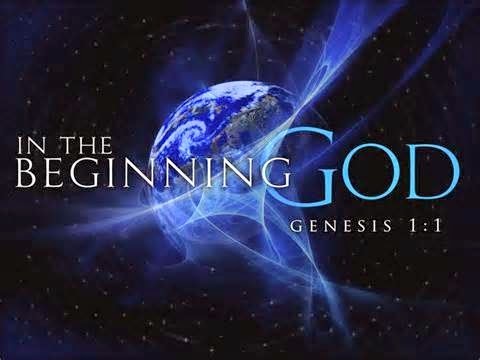 Because some people people do not want to change their way of life, they choose to deny the Biblical account of creation and the existence of God. Some people claim the Biblical account of creation does not agree with the facts discovered by scientists who study the earth. It is true the Bible does not agree with the theories of some scientists. But a theory is a personal belief or a guess as to how something happened. It is not a proven fact. In every challenge raised by scientists, the facts discovered in their studies have always proven the Bible to be correct in its account of creation. 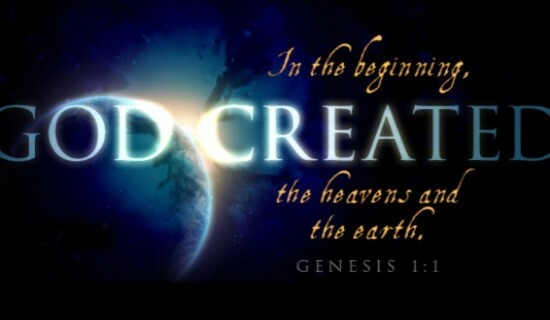 The Bible summarizes the creativity of God to reveal that. . .
God then created a woman from Adam. Even every one that is called by my name: for I have created him for my glory, I have formed him; yea, I have made him. . .
Adam and Eve were to reproduce and fill the entire earth with people just like themselves. . . people who were holy, reflected the image of God, and communicated with and praised their Creator. But something terrible happened to spoil this beautiful plan. Genesis chapter 3 contains one of the saddest accounts in the Bible. It records what has come to be called "the fall of man." Man was created in God's image. Just as God has freedom of choice, man had freedom of choice. He is free to make his own decisions. In the Garden where Adam and Eve lived, there were many trees, but there were also two special trees. One tree was called the tree of life . If Adam and Eve had eaten of the fruit of that tree, they could have lived forever and never died. The other tree was called the tree of the "knowledge of good and evil". God forbid Adam and Eve to eat the fruit of this tree. He did not want man to experience evil with all of its terrible results so He warned that eating the fruit of this tree would cause death. Satan did not want man to serve God. Satan came first to woman, then to man through Eve in the Garden of Eden. He was disguised in the form of a serpent. He tempted them by making false promises. They yielded to the temptation, sinned against God, and ate of the tree of the knowledge of good and evil. The results of this fall of man into sin changed the whole world. The plants and animals were no longer easy to control. Man had to struggle for dominion over them. Animals turned wild and fierce and the earth brought forth weeds and thistles. Terrible changes in weather came in the form of floods and similar disasters. All the evil in the world today--all the plagues, suffering, and tragedies--are results of this first fall of man. Sin entered the world, and along with it, suffering. The punishment of death was brought on man, just as God had warned. All men will experience physical death until the end of time as we know it. As if all this was not enough, an even worse catastrophe happened; man was separated from God by sin. The image of God that was to be reflected in man was spoiled. Because of sin, man lost his relationship and communication with God. This was the first revelation of a special plan of God. It revealed that a battle would rage throughout the centuries between man and Satan, but God assures us through His promise that mankind would be redeemed when He sent someone to crush man's enemy and restore man to right relationship with God. That "someone" was the Lord Jesus Christ.